Polycarbonates (PC) are a group of thermoplastic polymers containing carbonate groups in their chemical structures. Polycarbonates used in engineering are strong, tough materials, and some grades are optically transparent. They are easily worked, molded, and thermoformed. Because of these properties, polycarbonates find many applications. Polycarbonates do not have a unique resin identification code (RIC) and are identified as "Other", 7 on the RIC list. Polycarbonates received their name because they are polymers containing carbonate groups (−O−(C=O)−O−). A balance of useful features, including temperature resistance, impact resistance and optical properties, positions polycarbonates between commodity plastics and engineering plastics. The first step of the synthesis involves treatment of bisphenol A with sodium hydroxide, which deprotonates the hydroxyl groups of the bisphenol A. In this way, approximately one billion kilograms (one million tonnes) of polycarbonate is produced annually. Many other diols have been tested in place of bisphenol A (e.g., 1,1-bis(4-hydroxyphenyl)cyclohexane and dihydroxybenzophenone). The cyclohexane is used as a comonomer to suppress crystallisation tendency of the BPA-derived product. Tetrabromobisphenol A is used to enhance fire resistance. Tetramethylcyclobutanediol has been developed as a replacement for BPA. The diphenyl carbonate was derived in part from carbon monoxide, this route being greener than the phosgene method. The ring-opening polymerization of cyclic carbonates has been investigated. Polycarbonate has a glass transition temperature of about 147 °C (297 °F; 420 K), so it softens gradually above this point and flows above about 155 °C (311 °F; 428 K). Tools must be held at high temperatures, generally above 80 °C (176 °F; 353 K) to make strain-free and stress-free products. Low molecular mass grades are easier to mold than higher grades, but their strength is lower as a result. The toughest grades have the highest molecular mass, but are much more difficult to process. Unlike most thermoplastics, polycarbonate can undergo large plastic deformations without cracking or breaking. As a result, it can be processed and formed at room temperature using sheet metal techniques, such as bending on a brake. Even for sharp angle bends with a tight radius, heating may not be necessary. This makes it valuable in prototyping applications where transparent or electrically non-conductive parts are needed, which cannot be made from sheet metal. PMMA/Acrylic, which is similar in appearance to polycarbonate, is brittle and cannot be bent at room temperature. extrusion with cylinders (calenders) into sheets (0.5–20 mm (0.020–0.787 in; 20–787 thou)) and films (below 1 mm (0.039 in; 39 thou)), which can be used directly or manufactured into other shapes using thermoforming or secondary fabrication techniques, such as bending, drilling, or routing. Due to its chemical properties it is not conducive to laser-cutting. Polycarbonate may become brittle when exposed to ionizing radiation above 25 kGy (J/kg). Polycarbonate is mainly used for electronic applications that capitalize on its collective safety features. Being a good electrical insulator and having heat-resistant and flame-retardant properties, it is used in various products associated with electrical and telecommunications hardware. It can also serve as a dielectric in high-stability capacitors. However, commercial manufacture of polycarbonate capacitors mostly stopped after sole manufacturer Bayer AG stopped making capacitor-grade polycarbonate film at the end of year 2000. The second largest consumer of polycarbonates is the construction industry, e.g. for domelights, flat or curved glazing, and sound walls, which all use extruded flat solid or multiwall sheet, or corrugated sheet. 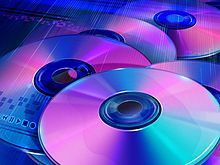 A major application of polycarbonate is the production of Compact Discs, DVDs, and Blu-ray Discs. These discs are produced by injection molding polycarbonate into a mold cavity that has on one side a metal stamper containing a negative image of the disc data, while the other mold side is a mirrored surface. The third generation Mazda MX-5 was offered with a Power Retractable Hard Top (PRHT) variant that uses a folding hardtop made of polycarbonate, which added only 36 kg (79 lb) to the weight of a comparably equipped soft top without diminishing trunk space when retracted. Polycarbonate, being a versatile material with attractive processing and physical properties, has attracted myriad smaller applications. The use of injection molded drinking bottles, glasses and food containers is common, but the use of BPA in the manufacture of polycarbonate has stirred serious controversy (see Potential hazards in food contact applications), leading to development and use of "BPA-free" plastics in various formulations. 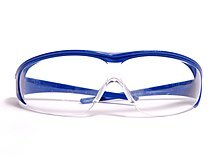 Polycarbonate is commonly used in eye protection, as well as in other projectile-resistant viewing and lighting applications that would normally indicate the use of glass, but require much higher impact-resistance. Polycarbonate lenses also protect the eye from UV light. Many kinds of lenses are manufactured from polycarbonate, including automotive headlamp lenses, lighting lenses, sunglass/eyeglass lenses, swimming goggles and SCUBA masks, and safety glasses/goggles/visors including visors in sporting helmets/masks and police riot gear (helmet visors, riot shields, etc.). Windscreens in small motorized vehicles are commonly made of polycarbonate, such as for motorcycles, ATVs, golf carts, and small planes and helicopters. Typical products of sheet/film production include applications in advertisement (signs, displays, poster protection). But also applications as automotive safety glazing (ECE R 43). The light weight of polycarbonate as opposed to glass has led to development of electronic display screens that replace glass with polycarbonate, for use in mobile and portable devices. Such displays include newer e-ink and some LCD screens, though CRT, plasma screen and other LCD technologies generally still require glass for its higher melting temperature and its ability to be etched in finer detail. As more and more governments are restricting the use of glass in pubs and clubs due to the increased incidence of glassings, polycarbonate glasses are becoming popular for serving alcohol because of their strength, durability, and glass-like feel. 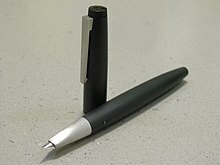 Other miscellaneous items include durable, lightweight luggage, MP3/digital audio player cases, ocarinas, computer cases, fountain pens, riot shields, instrument panels, tealight candle containers and blender jars. Many toys and hobby items are made from polycarbonate parts, like fins, gyro mounts, and flybar locks in radio-controlled helicopters, and transparent LEGO (ABS is used for opaque pieces). 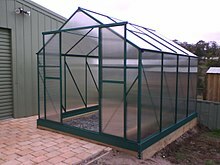 Standard polycarbonate resins are not suitable for long term exposure to UV radiation. To overcome this the primary resin can have UV stabilisers added. These grades are sold as UV stabilized polycarbonate to injection moulding and extrusion companies. Other applications including polycarbonate sheet may have the anti-UV layer added as a special coating or a coextrusion for enhanced weathering resistance. Polycarbonate is also used as a printing substrate for nameplates and other forms of industrial grade under printed products. The polycarbonate provides a barrier to wear, elements, and fading. Many polycarbonate grades are used in medical applications and comply with both ISO 10993-1 and USP Class VI standards (occasionally referred to as PC-ISO). Class VI is the most stringent of the six USP ratings. These grades can be sterilized using steam at 120 °C, gamma radiation, or by the ethylene oxide (EtO) method. However, scientific research indicates possible problems with biocompatibility. Dow Chemical strictly limits all its plastics with regard to medical applications. More recently, scientists at the IBM Almaden Research Center have developed aliphatic polycarbonates with improved biocompatibility and degradability for nanomedicine applications. Some major smartphone manufacturers use polycarbonate. Nokia has used polycarbonate-base in their phones starting with the N9's unibody case in 2011. This practice continues with various phones in the Lumia series. Samsung has started using polycarbonate with Galaxy S III's battery cover in 2012 and this practice continues with various other phones in the Galaxy series. Apple started using polycarbonate with the iPhone 5C's unibody case in 2013. Polycarbonates were first discovered in 1898 by Alfred Einhorn, a Jewish scientist working at the University of Munich. However, after 30 years of laboratory research, this class of materials was abandoned without commercialization. Research resumed in 1953, when Hermann Schnell at Bayer in Uerdingen, Germany patented the first linear polycarbonate. The brand name "Merlon" was registered in 1955, and later changed to Makrolon in the 1980s. Also in 1953, and one week after the patent was submitted by Bayer, Daniel Fox at General Electric in Schenectady, New York, independently submitted a closely related patent on a branched polycarbonate. Both companies filed for U.S. patents in 1955, and agreed that the company lacking priority would be granted a license to the technology. Once patent priority was resolved, in Bayer's favor, Bayer began commercial production under the trade name Merlon in 1958 and GE began production under the name Lexan in 1960. The production of Lexan was taken over by SABIC in 2007. There are many applications for the LEXAN polycarbonate. One of them is patented production of the motorcycle helmets that meet the worldwide safety standards and requirements for this type of safety equipment. Their patented innovative Vision Protection System (VPS) is specific treatment of polycarbonate that makes it fog- and scratch-resistant. After 1970, the brownish original polycarbonate tint was improved to "glass-clear". More than 100 studies have explored the bioactivity of bisphenol A derived from polycarbonates. Bisphenol A appeared to be released from polycarbonate animal cages into water at room temperature and it may have been responsible for enlargement of the reproductive organs of female mice. However, the animal cages used in the research were fabricated from industrial grade polycarbonate, rather than FDA food grade polycarbonate. An analysis of the literature on bisphenol A leachate low-dose effects by vom Saal and Hughes published in August 2005 seems to have found a suggestive correlation between the source of funding and the conclusion drawn. Industry-funded studies tend to find no significant effects whereas government-funded studies tend to find significant effects. Sodium hypochlorite bleach and other alkali cleaners catalyze the release of the bisphenol A from polycarbonate containers. Alcohol is one recommended organic solvent for cleaning grease and oils from polycarbonate. Studies have shown that at high temperatures between 70 and 80 °C and high humidity, polycarbonates hydrolyzes to bisphenol A (BPA). This condition is similar to that observed in most incinerators. After about 30 days under such conditions, surface crystals were formed. Measurements indicated that about 70% by mass of the surface crystals were bisphenol A (BPA). BPA is a compound that is currently on the list of potential environmental hazardous chemicals. It is on the watch list of many countries, such as United States and Germany. The leaching of BPA from polycarbonate can also occur at environmental temperature and normal pH (in landfills). The amount of leaching increases as the material becomes older. A study found that the decomposition of BPA in landfills (under anaerobic conditions) does not occur. It will therefore be persistent in landfills. Eventually, it will find its way into water bodies and contribute to aquatic pollution. This product can be further oxidized to form smaller unsaturated compounds. This can proceed by two different pathways, the products formed depends on which mechanism takes place. Photo-aging is another degradation route for polycarbonates. Polycarbonate molecules (such as the aromatic ring) absorb UV radiation. This absorbed energy causes cleavage of covalent bonds, which initiates the photo-aging process. The reaction can be propagated by side chain oxidation, ring oxidation or photo-fries rearrangement. Products formed include phenyl salicylate, dihydroxybenzophenone groups, and hydroxydiphenyl ether groups. Waste polycarbonate will degrade at high temperatures to form solid, liquid and gaseous pollutants. A study showed that the products were, by mass, about 40–50% liquid, 14–16% gases, while 34–43% remained as solid residue. Liquid products contained mainly phenol derivatives (∼75%) and bisphenol (∼10%) also present. This is of concern when incinerating optical data disks. Phenol derivatives are environmental pollutants, classified as volatile organic compounds (VOC). Studies show that they are likely to facilitate ground-level ozone formation and increase photo-chemical smog. In aquatic bodies, they can potentially accumulate in organisms. They are persistent in landfills, do not readily evaporate and would remain in the atmosphere. ^ "Lexan sheet technical manual" (PDF). SABIC. 2009. ^ Parvin, M. & Williams, J. G. (1975). "The effect of temperature on the fracture of polycarbonate". Journal of Materials Science. 10 (11): 1883. Bibcode:1975JMatS..10.1883P. doi:10.1007/BF00754478. ^ Donald J. Darensbourg (2007). "Making Plastics from Carbon Dioxide: Salen Metal Complexes as Catalysts for the Production of Polycarbonates from Epoxides and CO2". Chem. Rev. 107: 2388–2410. doi:10.1021/cr068363q. ^ "Polycarbonate". city plastics. Retrieved 2013-12-18. ^ Vaughn, Mark (2006-08-10). "2007 Mazda MX-5 Miata Power Retractable Hardtop". Autoweek. Retrieved 2014-12-27. ^ Egress technicians keep raptor pilots covered Archived 2009-02-27 at the Wayback Machine. Pacaf.af.mil. Retrieved on 2011-02-26. ^ F-22 Cockpit. Globalsecurity.org (2008-01-21). Retrieved on 2011-02-26. ^ Tempo: Antisipasi Lemparan Batu, PT Kereta Api Ganti Kaca Lokomotif. Tempo.co (2016-06-05). Retrieved on 2017-03-22. ^ "RDLohr's Clearly Superior Products" (PDF). wavelandps.com. Archived from the original (PDF) on 1 April 2010. ^ "Which Plastic Material is Used in Lego Sets?". Craftech Industries. ^ "Rowlux". Rowlux.com. Retrieved 1 January 2019. ^ "Landscape 6 from Ten Landscapes". Museum of Modern Art. Retrieved 19 January 2019. ^ Felsenthal, Julia (3 August 2015). "Artsplainer: Roy Lichtenstein and the Sea in East Hampton". Vogue. Retrieved 1 January 2019. ^ Powell, Douglas G. (September 1998). "Medical Applications of Polycarbonate". Medical Plastics and Biomaterials Magazine. Archived from the original on 23 February 1999. ^ "Dow Plastics Medical Application Policy". ^ "Makrolon Polycarbonate Biocompatibility Grades". ^ Chan, Julian M. W.; Ke, Xiyu; Sardon, Haritz; Engler, Amanda C.; Yang, Yi Yan; Hedrick, James L. (2014). "Chemically Modifiable N-Heterocycle-Functionalized Polycarbonates as a Platform for Diverse Smart Biomimetic Nanomaterials". Chemical Science. 5 (8): 3294–3300. doi:10.1039/C4SC00789A. ^ "Polycarbonate (PC)". UL Prospector. Retrieved 5 May 2014. ^ Philip Kotler; Waldemar Pfoertsch (17 May 2010). Ingredient Branding: Making the Invisible Visible. Springer Science & Business Media. pp. 205–. ISBN 978-3-642-04214-0. ^ "Polycarbonate is Polyfunctional". Chemical Institute of Canada. Retrieved 5 May 2014. ^ Jerome T. Coe (27 August 2010). "Lexan Polycarbonate: 1953–1968". Unlikely Victory: How General Electric Succeeded in the Chemical Industry. John Wiley & Sons. pp. 71–77. ISBN 978-0-470-93547-7. ^ "Nolan: Safety and Norms of Use" (PDF). Nolan. July 2016. p. 5. ^ Howdeshell, KL; Peterman PH; Judy BM; Taylor JA; Orazio CE; Ruhlen RL; Vom Saal FS; Welshons WV (2003). "Bisphenol A is released from used polycarbonate animal cages into water at room temperature". Environmental Health Perspectives. 111 (9): 1180–7. doi:10.1289/ehp.5993. PMC 1241572. PMID 12842771. ^ vom Saal FS, Hughes C (2005). "An extensive new literature concerning low-dose effects of bisphenol A shows the need for a new risk assessment". Environ. Health Perspect. 113 (8): 926–33. doi:10.1289/ehp.7713. PMC 1280330. PMID 16079060. ^ Hunt, PA; Kara E. Koehler; Martha Susiarjo; Craig A. Hodges; Arlene Ilagan; Robert C. Voigt; Sally Thomas; Brian F. Thomas; Terry J. Hassold (2003). "Bisphenol A Exposure Causes Meiotic Aneuploidy in the Female Mouse". Current Biology. 13 (7): 546–553. doi:10.1016/S0960-9822(03)00189-1. PMID 12676084. ^ Koehler, KE; Robert C. Voigt; Sally Thomas; Bruce Lamb; Cheryl Urban; Terry Hassold; Patricia A. Hunt (2003). "When disaster strikes: rethinking caging materials". Lab Animal. 32 (4): 24–27. doi:10.1038/laban0403-24. PMID 19753748. Archived from the original on 2009-07-06. ^ Bair, H. E.; Falcone, D. R.; Hellman, M. Y.; Johnson, G. E.; Kelleher, P. G. (1981-06-01). "Hydrolysis of polycarbonate to yield BPA". Journal of Applied Polymer Science. 26 (6): 1777. doi:10.1002/app.1981.070260603. ^ a b c Morin, Nicolas; Arp, Hans Peter H.; Hale, Sarah E. (2015). "Bisphenol A in Solid Waste Materials, Leachate Water, and Air Particles from Norwegian Waste-Handling Facilities: Presence and Partitioning Behavior". Environmental Science & Technology. 49 (13): 7675–7683. Bibcode:2015EnST...49.7675M. doi:10.1021/acs.est.5b01307. PMID 26055751. ^ Chin, Yu-Ping; Miller, Penney L.; Zeng, Lingke; Cawley, Kaelin; Weavers, Linda K. (2004). "Photosensitized Degradation of Bisphenol A by Dissolved Organic Matter †". Environmental Science & Technology. 38 (22): 5888–5894. Bibcode:2004EnST...38.5888C. doi:10.1021/es0496569. ^ a b T., Chow, Jimmy (2007-08-06). "Environmental assessment for bisphenol-a and polycarbonate". ^ Carroccio, Sabrina; Puglisi, Concetto; Montaudo, Giorgio (2002). "Mechanisms of Thermal Oxidation of Poly(bisphenol A carbonate)". Macromolecules. 35 (11): 4297–4305. Bibcode:2002MaMol..35.4297C. doi:10.1021/ma012077t. ^ a b Collin, S.; Bussière, P.-O. ; Thérias, S.; Lambert, J.-M.; Perdereau, J.; Gardette, J.-L. (2012-11-01). "Physicochemical and mechanical impacts of photo-ageing on bisphenol a polycarbonate". Polymer Degradation and Stability. 97 (11): 2284–2293. doi:10.1016/j.polymdegradstab.2012.07.036. ^ "Pollution Database". pollution.unibuc.ro. Retrieved 2016-11-14. ^ "Pollutant Fact Sheet". apps.sepa.org.uk. Retrieved 2016-11-14. ^ Bosch, Xavier (2001-06-27). "Fungus eats CD". Nature News. doi:10.1038/news010628-11. Wikimedia Commons has media related to Polycarbonate. This page was last edited on 3 March 2019, at 10:56 (UTC).